The Review of PCEHR: The good, the questionable and the ugly – The Official Kalix Blog. 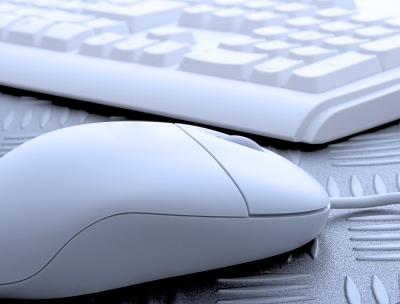 The findings of the PCEHR (stands for Personally Controlled Electronic Health Records, the Australian national e-Health records) review were released publicly two weeks ago. I thought I would provide a bit of a summary of this document, particularly in relation to what the review recommends for Allied Health. It’s a 91 page document and a bit of dry, but nonetheless, I would love to hear what you think. The Review of PCEHR can be found here. Please leave your comments at the bottom of the page. Note: the PCEHR Review contains recommendations only, the government’s response to the review is said to be several months away. This blog will focus on the discussing the Summary of Panel’s Recommendations. There are 38 points, I will only explore the points of particular relevance or interest. 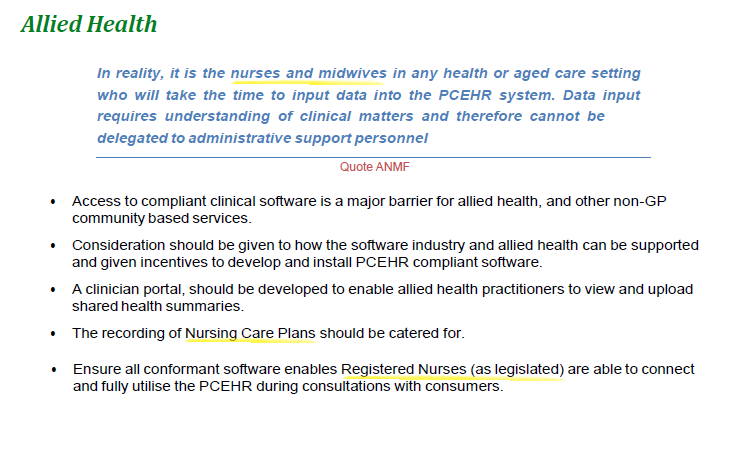 Recommendation 1: Rename the Personally Controlled Electronic Health Record (PCEHR) to My Health Record (MyHR). I like the new name because it’s easier to remember. The report states this name will better reflect the partnership between the clinician and the patient… again I will say I like the name because it’s easier to remember. In this blog I will continue to refer to the Personally Controlled Electronic Health Records as PCEHR as the name change is a recommendation only. Recommendations 2-12 are related to the establishment various committees…a Clinical and Technical Advisory Committee, a Jurisdictional Advisory Committee, a Consumer Advisory Committee, a Privacy and Security Committee a transition taskforce, a clinical systems capability group….. 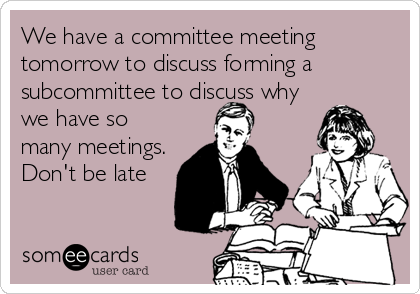 Committees can be useful but we will move forward to something a bit more interesting. Recommendation 13: Transition to an ‘opt-out’ model for all Australians on their MyHR [PREHR] to be effective from a target date of 1st January 2015. This is a change from an opt-in model (current) to an opt-out model i.e. everyone gets a record unless they opt out. A opt out system will obviously improve the uptake of PCEHR by the general population. I am not sure whether it will affect its usage by healthcare providers or their perception of the system. Number 17: Clarify that the MyHR [PCEHR] is a supplementary source of information that may, but does not always need to be, used by clinicians in caring for their patients. Ok got it… clinicians do not need to use PCEHR for every occasion of care and for every single patients…and the PCEHR is is only a supplementary source of information…so it is not a major source of client data…ok…since only 8% of the Australian population have a PCEHR… I think the description aptly fits. Anyways let’s move on… now onwards! If the PCEHR is only a supplementary source of information, what is a primary source of information? It could be the patient themselves I suppose. It is great that there will be more consideration to what information, at a minimum needs to be included in PCEHR. If there is useful patient information in the PCEHRs, clinicians are more likely to look at them. It will be interesting to see what clinical measurements are decided to be included and whether there will be anything relevant for Allied Health Professionals. Recommendation 22 is to allow the integration of diagnostic imaging and pathology into PCEHRs… yep that will be useful. Recommendations 23 : Implement a standardised Secure Messaging platform for the medical industry, prioritising support for standards compliant platforms. Recommendation 24: Expand the Secure Messaging strategy to include exchange of secure communication between the medical industry and consumers to facilitate improved communications and workflow efficiencies. I find these recommendations particularly exciting. The secure transfer of health information between clinicians as well as between clinicians and patients, is also a topic we at Kalix are regularly asked about. Initially, I’ll like to point out that Australia does not have specific policies around how (mechanisms) health information should (or shouldn’t) be shared. It is not illegal to email, SMS or post patient information…whether it is a safe (and secure) thing to do, this is another matter. In Australia there are policies in place are about when it appropriate for health information to be shared, see Sharing health information to provide a health service for more details, but not how. The secure exchange of health information is an area where reform would probably be useful. I am aware of many clinicians who unwittingly have a number of questionable practices in place. Even with secure messaging, if users do not have proper safe guards in place, security breaches can still occur. There are a few secure messaging exchange programs available in Australia and many more in the US. Unfortunately, these programs do not ‘talk to each other’. So users of the different programs cannot exchange information with each other. This review recommends that the vendors of these products, adopt a common messaging standards to ensure inter-program communication. The review goes on to recommend that secure messaging is expanded to include messaging between clinicians and patients. It would be great for this to occur, but it is easier said than done. 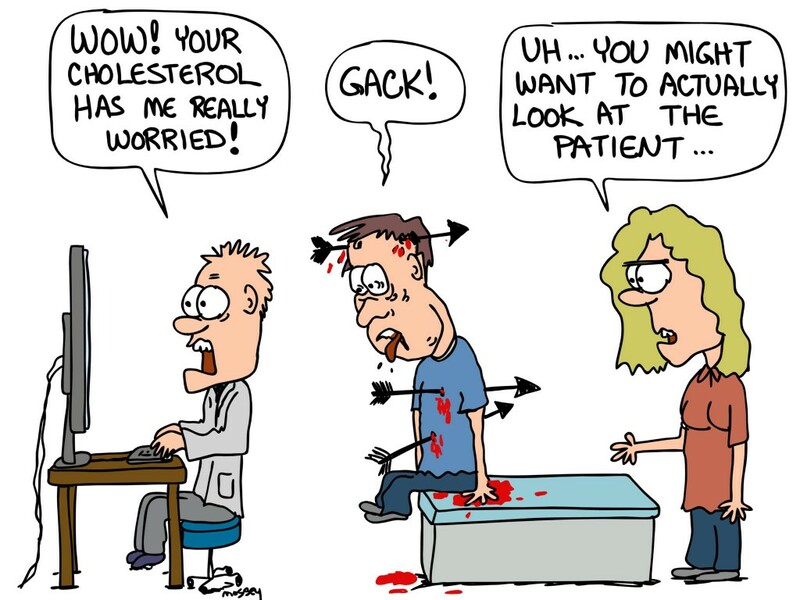 It is fairly difficult to have a system that is both cost effective and easy to use by both clinicians and patients. Any system would require both parties to have specialised software in order to receive messages from each other. Next! Briefly, recommendations 25 to 35 call for the review of a few different programs, as well as improvements to be made to PCEHR’s usability. There is also a recommendation to “add a flag” for clinicians when their patients have restricted or deleted a document they have written. The review also recommends another notification system for patients to receive an SMS when their PCEHR have been opened or used i.e. by their healthcare professionals. Recommendation 36: Change the ePractice Incentive Payment (ePIP) to introduce meaningful use metrics that incent contribution of clinical relevant information to the MyHR [PCEHR], including linking ongoing ePIP funding to actual usage of the MyHR [PCEHR]. These financial incentives are aimed at increasing PCEHR uptake by healthcare professionals. This particular recommendation includes a phrase that Americans are quite familiar with “meaningful use”. In the US there are incentives in place for eligible professionals to implement meaningful use of certified EHR technology. Doctors, dentists, chiropractors and nurse practitioners are classified as eligible professionals, most allied health professions are not eligible. 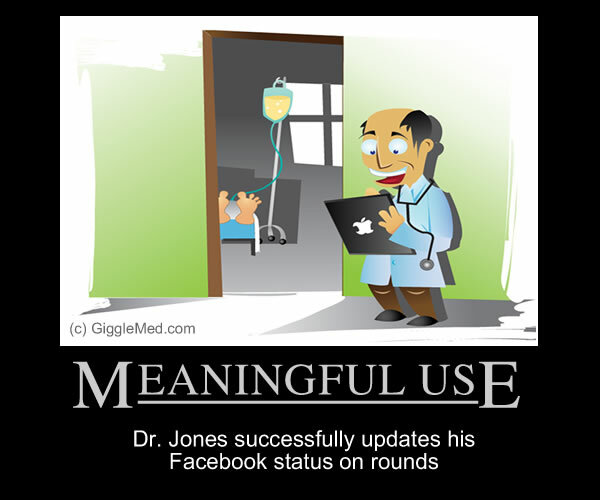 What is “meaningful use”? It is a bit of a buzz work in Health IT. The PCEHR Review does not directly provide a definition. If we look at the US definition. 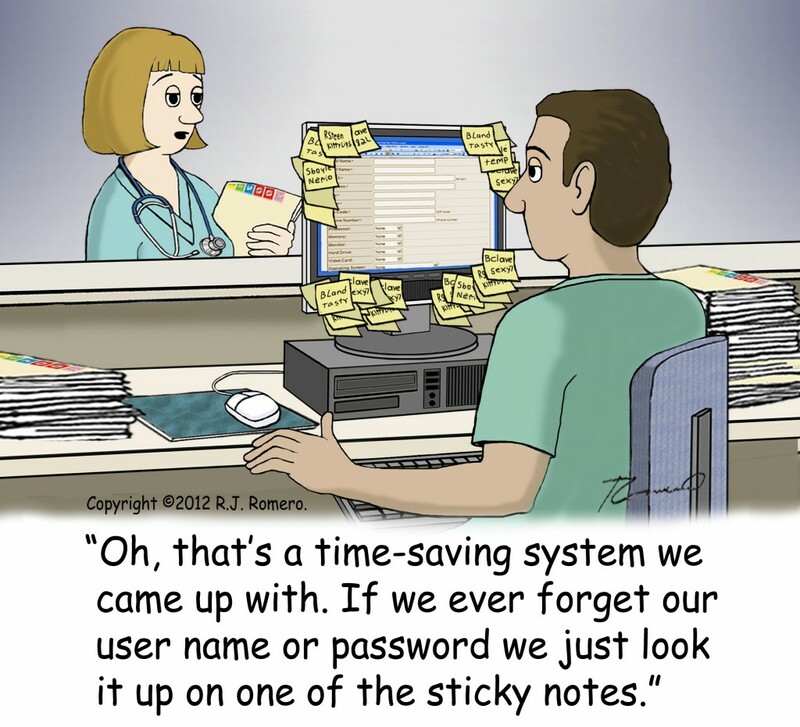 The use of EHR technology in a meaningful manner (for example electronic prescribing); that provides for the electronic exchange of health information to improve the quality of care. Centers for Disease Control and Prevention 2012. How could one argue that PCHERs use shouldn’t to be meaningful i.e. why should they contain information that isn’t relevant the management of patients’ health? I wonder whether meaningful use should just be an implicit part of electronic health records. Well that’s my thought. The current incentive program, the Practice Incentives Program (PIP) is for GPs only. Will PIP and other incentive programs continue to exclude allied health professionals? Recommendation 37: Commission a scoping project to identify the options available to encourage further take up of electronic transmission of data by specialist medical and allied health professional practices and private hospitals. They are suggesting that a project should be funded to investigate methods of encouraging allied health professionals to use PCHER (and the financial incentives that GPs receive are not suitable? )…we are getting considered at least but, probably not for financial incentives. What are Allied Health Again? The authors of the review do not seem to know what an allied health professional is…they are some variety of nurse it seems. See the excerpt below. It might just be a typo, although as an allied health professional myself I feel a bit insulted. But this just reflects the knowledge of the general community. So many, many people have told me that they do not know what allied health are. At least the review acknowledges that the biggest barrier towards the uptake of the PCEHR by allied health, NEHTA’s focus on GPs only. The PCHER has received funding for the next year (equalling $140 million.) It will be interesting to watch how things develop over the next few months. This blog is by Claire Nichols, an Accredited Practising Dietitian, and co-founder of Kalix, a cloud-based, practice management and documentation solution. Kalix is used by hundreds of private practice allied health professionals Australia and the United States. Disclaimer: everything expressed in this blog is my own personal only.This is a blog, not a peer-reviewed journal. While every caution has been taken to provide you with the most accurate information and a honest analysis, please use your discretion before taking any decisions based on the information in this blog. I make no representations as to the accuracy or completeness of any information in this blog or found by following any link. The owner of this blog will not be liable for any errors or omissions in this information nor for the availability of this information. The owner will not be liable for any losses, injuries, or damages from the display or use of this information.